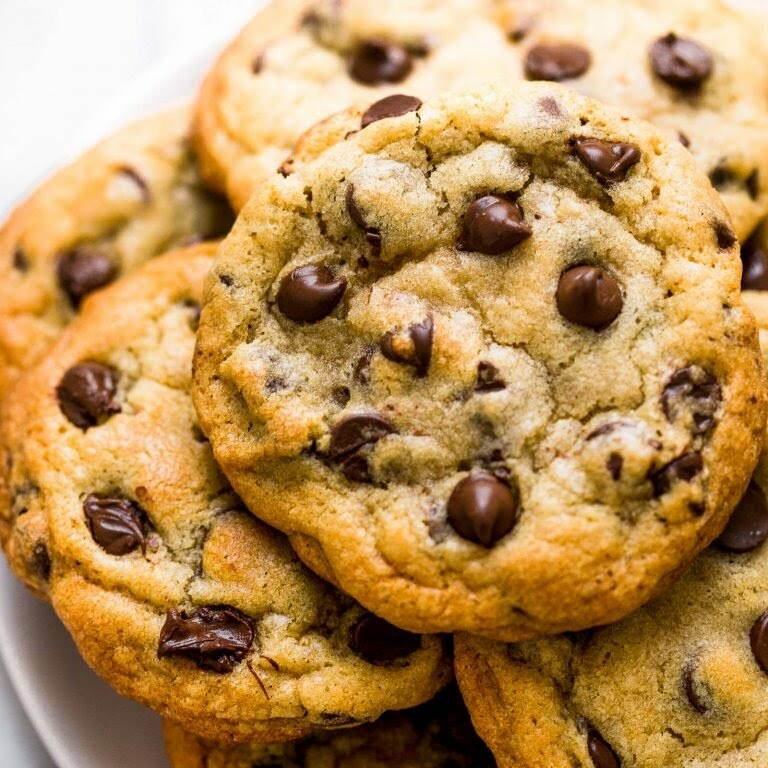 In the 1930s, Ruth Wakefield, the inventor of the chocolate chip cookie, ran the Toll House Inn, a popular restaurant in eastern Massachusetts, with her husband. Using an ice pick, Wakefield broke a semisweet chocolate bar into little bits, mixed them into brown-sugar dough, and the chocolate chip cookie was born. In 1939, she sold Nestlé the rights to reproduce her recipe on its packages (reportedly for only $1) and was hired to write recipes for the company, which supposedly supplied her with free chocolate for life.